Pancake Challenge for Pancake Day! Happy Pancake Day, Fat Tuesday, Mardi Gras, or whatever you want to call it! 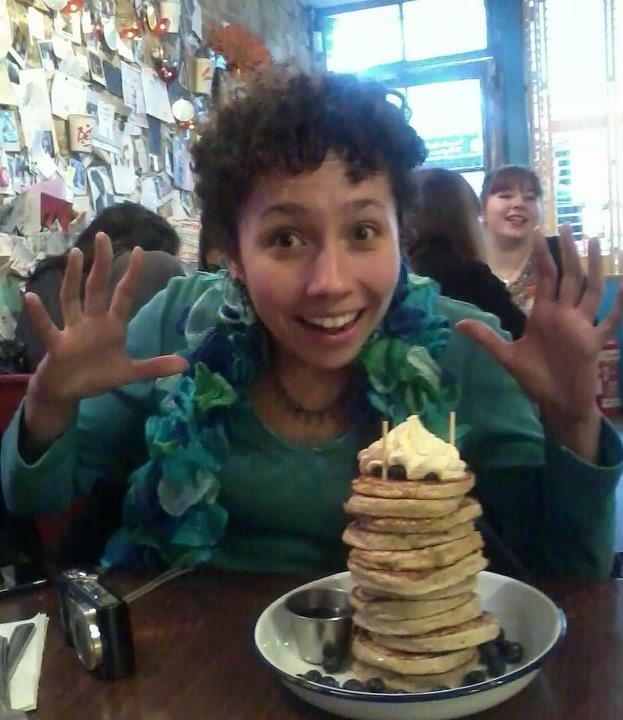 When I found out that The Breakfast Club was running a pancake challenge – eat 12 in 20 minutes – I couldn’t resist. After a lot of chomping, swallowing and embarrassingly some retching, I completed it with less than 10 seconds to spare (and to avoid the £17.50 forfeit – although the money goes to charity). A full report with video footage is coming soon, as is a special report on Swedish buns traditionally eaten at this time of year – semlor (a semla). Watch this space!